Disney Figural Keyrings are yet another craze in the world of stylized figure collecting. Unfamiliar? Here's the scoop! 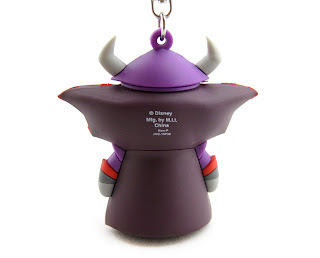 Like Vinylmations and Funko Mystery Minis, these adorable Disney character keyrings come in "blind bags", so you don't actually know who you'll get until you tear open that foil bag. They stand at about 2.5" tall, are made of (what they call) 3D foam (which feels like a eraser type material) and retail for $5.99 each. So far, there has been four Disney series released, plus a Disney Villains series and an upcoming series five. This Zurg is actually the "chaser" from the Disney Villains assortment. Between all five series (or six, if you're counting the villains) that have come (or will come) out, several other Pixar characters are available in the mix beside Zurg here. Carl, Russell and Nemo were released as part of series three, Buzz Lightyear and Crush are part of series four and Woody, Dory and an Alien are part of the upcoming series 5. I really need to start collecting them all! Zurg here is a great start...they're just too awesome looking to pass up now that I know these exist! 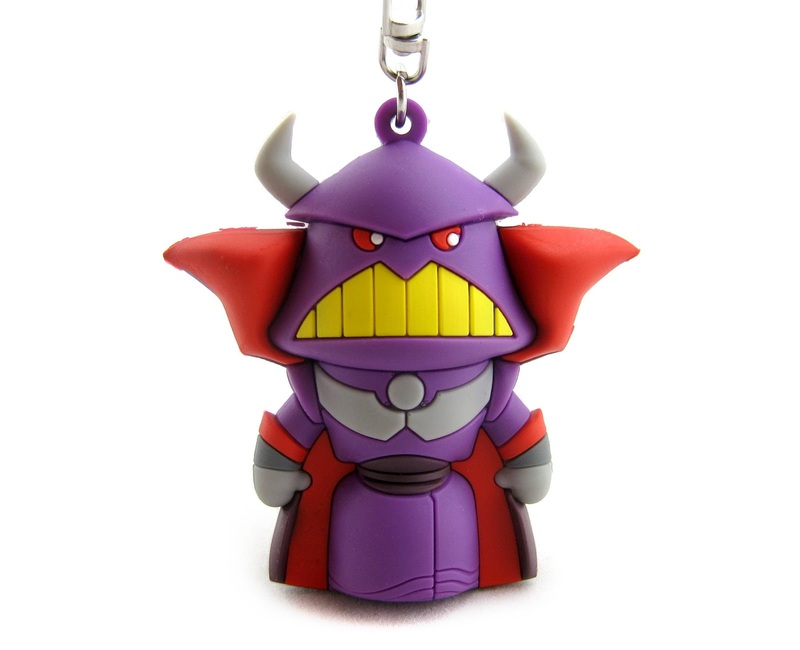 You can find these fun keyrings at various online stores such as Amazon, Toys R Us, Hot Topic and Toywiz (among others). This is a fun line of figures that have a great look, vibrant colors and a sturdy quality to them. Highly recommended to Disney·Pixar fans who want to deck out their keychains, backpacks or luggage with their favorite characters! 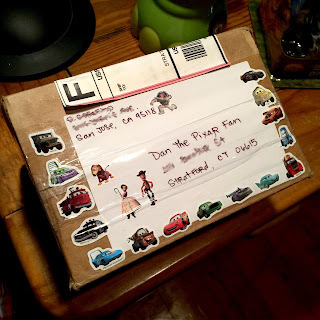 Now I have to give a huge shout out and thanks to some fans of my site (Instagram user name pop.funko.pop) who generously sent this to me as a gift! That was so awesome to receive "fan mail" (with thoughtful Pixar stickers decorating the box). 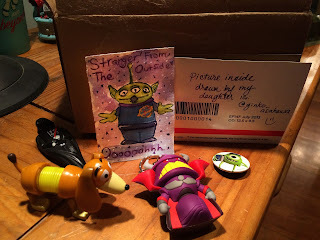 They also sent me some bonus goodies such as a Mike Wazowski pin, a Darth Vader pen (they know I also love Star Wars) and a mini Slinky dog- not to mention a picture of a Toy Story alien drawn just for me! Man did I feel special opening this up. Thanks so much for the support!